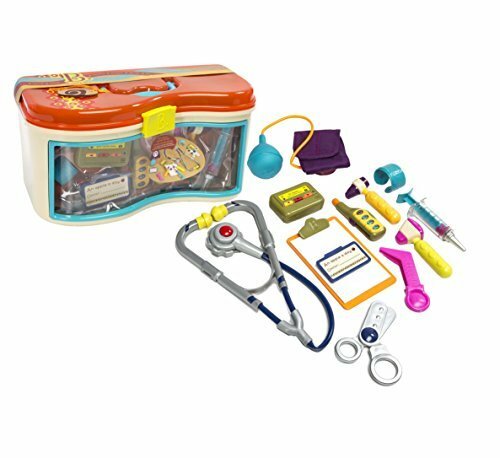 My daughter is 15 months old and I made this gift guide with her in mind. Some of the items are ones that she has and loves, some she is getting for Christmas and some are items that I would love for her to have. Enjoy! -Learning Resources Waffle Time and Stir-Fry Set- I love getting Adalyn food type gifts due to my love of food! Haha. When Adalyn was born, I started getting her play food, a play kitchen and more so that she can love food like I do. I try to focus on healthy foods so she learns that it is fun to eat fruits and vegetables. 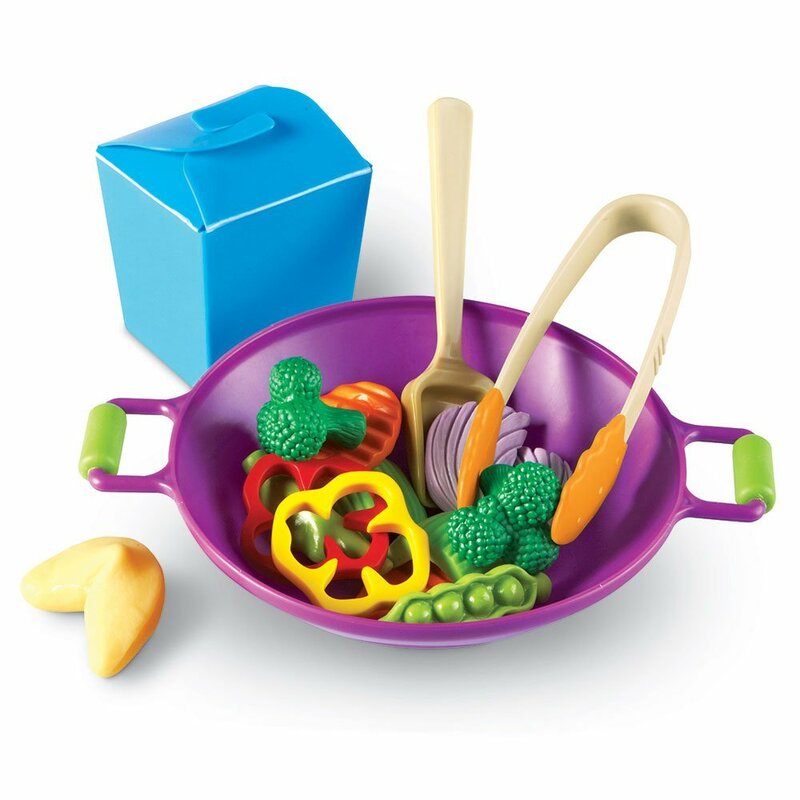 I love these sets from Learning Resources that feature play waffles and play stir-fry! So cute. Adalyn have been loving to play in her play kitchen so these will be perfect for that. -Freshly Picked Moccasins- Adalyn has been wearing these since she was a few months old and it is one of our favorite baby/toddler items! They are well made and do not get worn down easily. 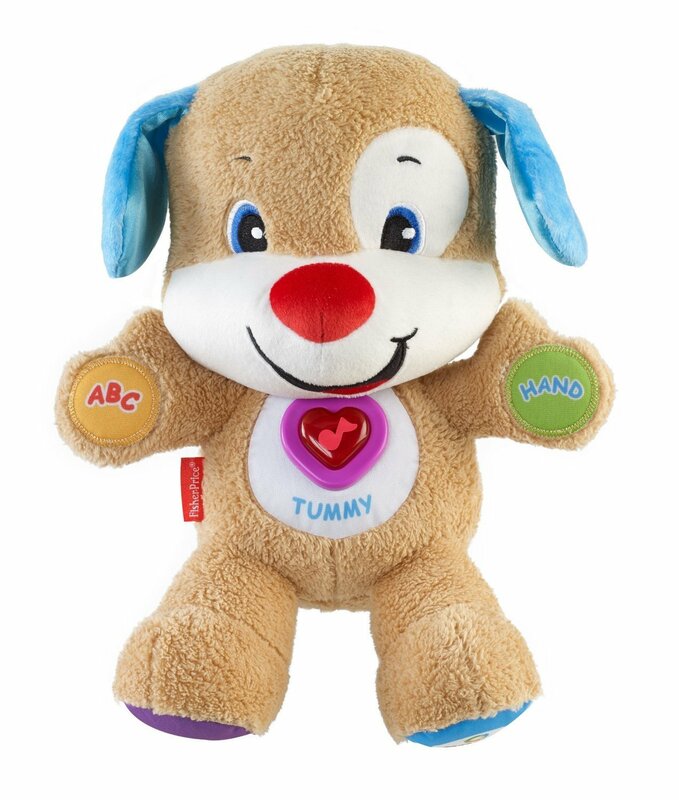 -B. Toys- I just love the look of these adorable toys and the bright colors that they come in. For Adalyn, I chose the Wee MD which is a fun "doctor's" set, tropicleania so she can learn to do some chores (haha!) and the magnetic alphabetic which will be fun to help her learn her letters. She will be getting these for Christmas. -Fisher-Price Laugh and Learn Puppy- Adalyn actually got this for Christmas last year and it is her #1 favorite toy. She plays with it all day long and I love that it has lots of different songs that it plays. 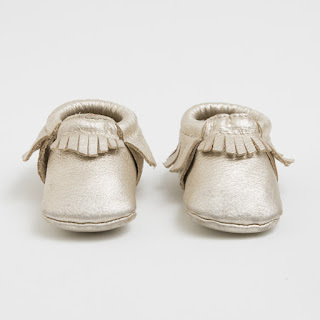 -Zutano Booties- One of our favorite brands of baby and toddler clothing is Zutano. 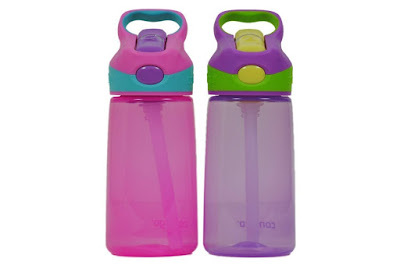 They are not too expensive but come in fun colors and patterns and are good quality. Adalyn had never tried the booties until recently and we love these! They somehow stay on her feet and no other slippers or shoes do. They keep her little feet warm which is great since it is cold outside now. I wish I had these sooner! 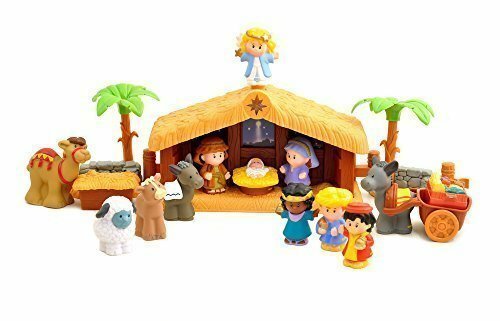 -Fisher-Price Little People Nativity- Adalyn got this from my parents as an early Christmas gift and has been loving it! I want to teach her about Jesus and the true meaning of Christmas and there is no better time to start than now. -Kids Contigo- Adalyn drinks from my big 32 ounce Contigo water bottle all the time so a smaller kid's version would be perfect for her. 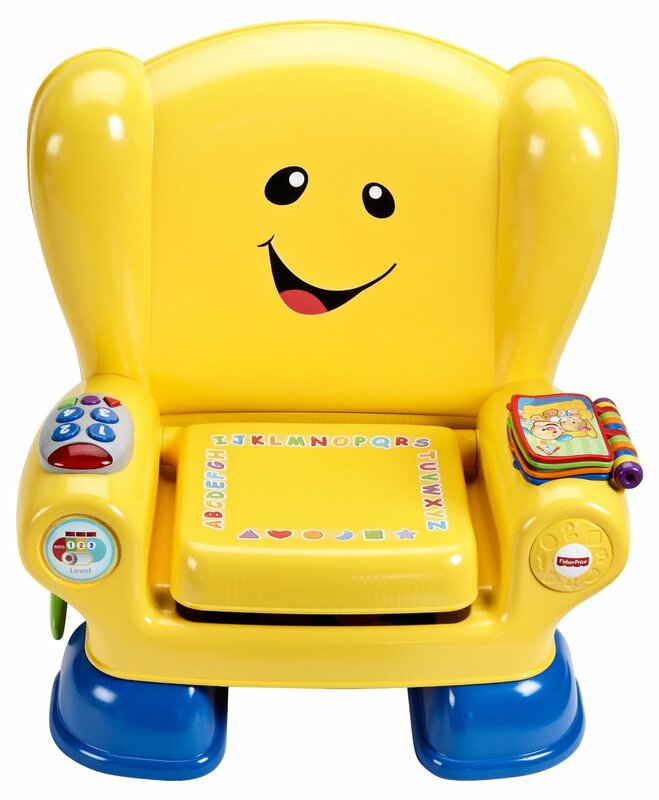 -Fisher-Price Laugh and Learn Smart Stages Chair- I cannot believe that this chair is so inexpensive because it is amazing! It plays different songs and teaches numbers and words. My daughter loves it and just learned how to sit herself down in it. 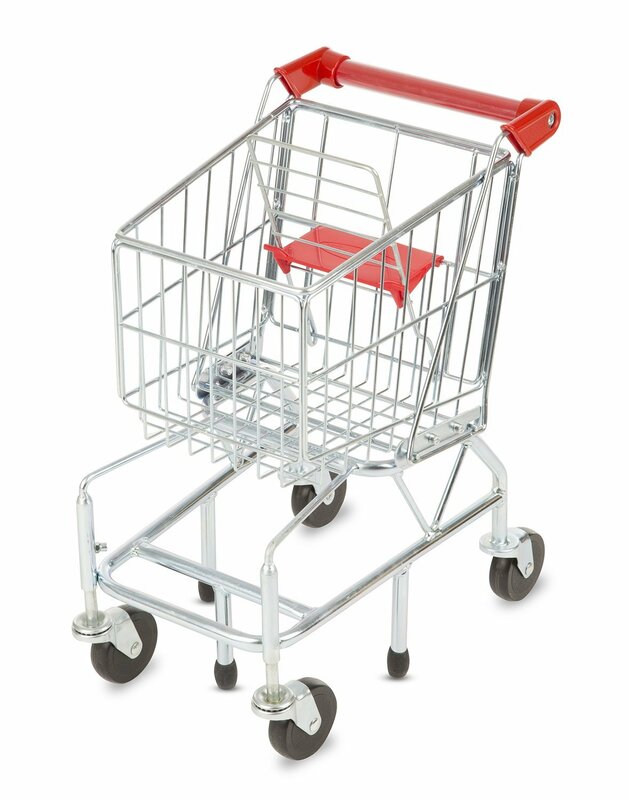 -Melissa and Doug Grocery Cart- Okay, so this one should be on my personal gift guide because I want this so badly for Adalyn! It is my favorite kids shopping cart on the market. -Wubbanub- This is our #1 baby item that we don't leave the house without. 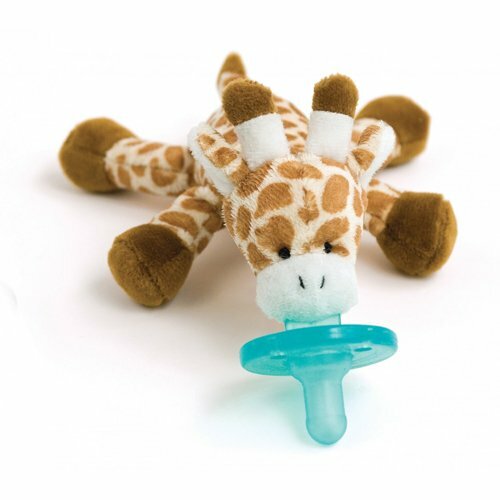 We have 4 of them and Adalyn uses them for all naps and nighttime.